Peter Capaldi has long been a treasured member of the Doctor Who family, for reasons that go beyond his role on the show—like his geeking out over his longtime fandom, or sending heartfelt letters to younger fans of his now-retired Doctor. He may have passed the sonic screwdriver to the Thirteenth Doctor, but he’ll always be the Doctor at heart, as shown in this latest letter to a boy worried about the pain of regeneration. 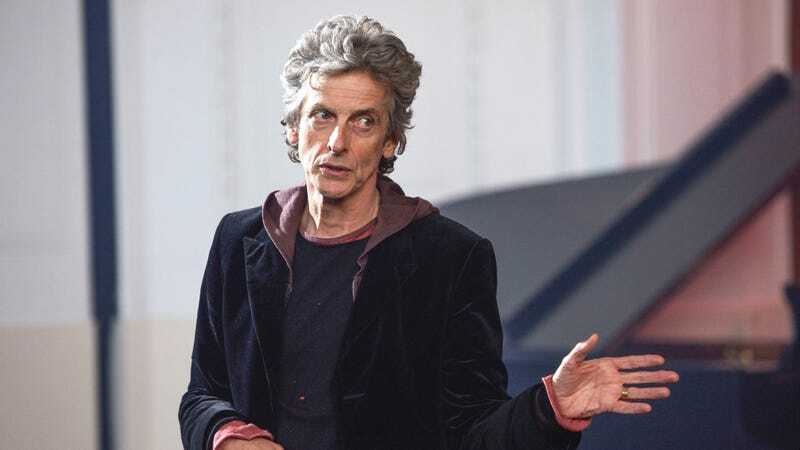 Brian McGilloway recently shared a photo of a letter Capaldi sent to his son, David, after the boy expressed concerns about how it must feel to regenerate. Capaldi recently experienced this himself—having regenerated into Jodie Whittaker, the first female Doctor, in the Christmas special “Twice Upon a Time”—so he’s got inside knowledge of what it feels like. Capaldi sent David a letter back reassuring him that, even though regeneration looks painful, there’s nothing to be scared of. And even though the Twelfth Doctor is no longer the Doctor, he’s never truly gone. It’s not clear how or why Capaldi sent David, as well as his older brother, letters, but it sounds like their dad had something to do with it (although he insists Santa delivered the message to the Doctor). McGilloway told BBC he was “speechless,” adding: “[Capaldi] has taken a lot of time and effort, it is such a generous and kind thing to have done.” This prompted others to share their own letters from Capaldi, as well as other acts of kindness from the Twelfth Doctor. It’s great to see someone show dedication for something so many people love, even after they’re done, and I’m excited to see the series continue with a brand-new Doctor. Doctor Who returns with Whittaker in 2018.